WASHINGTON – The reaction in Washington to Sunday’s mass shooting in Orlando was swift and nearly unanimous, as statements and social media posts offered prayers and condolences for what the president called “a horrific massacre” flooded the web. The remarks came in response to the attack early Sunday at a gay nightclub in Orlando that left 49 people dead as of Monday, in addition to the shooter, who claimed in a call with police dispatchers to have been motivated by ISIS. Another 53 were injured, according to the Orlando Police Department. Obama and FBI officials said the motives of the shooter, Florida resident Omar Mateen, were still being investigated but that the case was being handled as a terrorism investigation. Authorities said Mateen, a U.S. citizen, appeared to have legally obtained the handgun and the AR-15 rifle used in the attack. 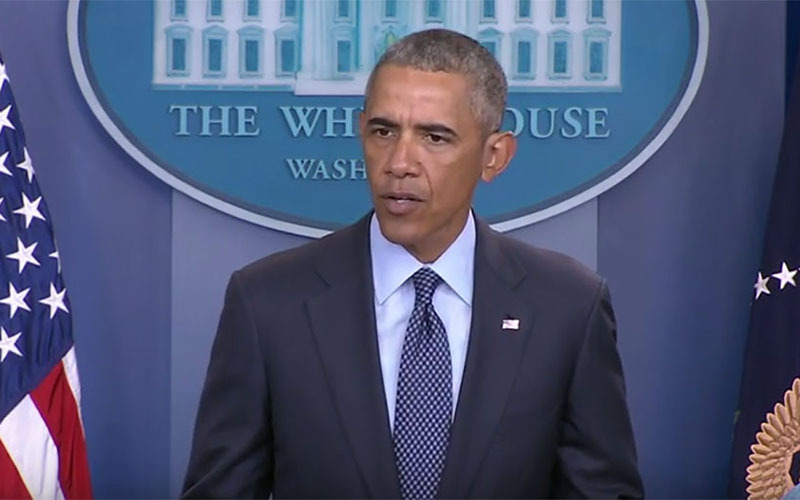 In remarks Sunday and again Monday, Obama said the shooting points out how easy it is to get deadly weapons, even for someone like Mateen who had been investigated by the FBI for terrorist sympathies. Some Senate Democrats on Monday pledged to renew the fight for the Denying Firearms and Explosives to Dangerous Terrorists Act. That bill, which would block gun sales to suspected terrorists and those on the no-fly list, has been sitting in committee without a hearing since being introduced in February 2015. I am shocked & horrified by news of the tragedy in Orlando. My thoughts & prayers are w/ the victims, their families & the LGBT community. Following horrific events in Orlando. Deep sorrow for the victims of this tragedy.